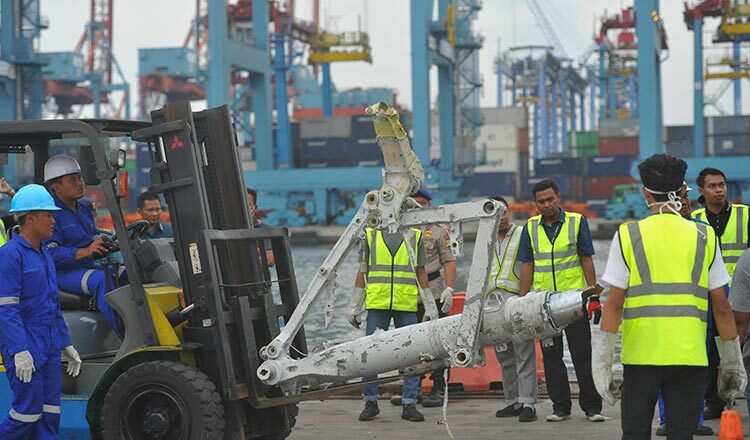 SAN FRANCISCO (Xinhua) – US top aircraft manufacturer the Boeing Company (Boeing) has praised Indonesian authorities for successfully recovering the “black box” of Indonesian Lion Air Flight 610 that crashed into the Java Sea in October, killing all 189 people aboard. “The CVR records radio transmissions and sounds in the cockpit, such as the pilots’ voices, audible alerts and aircraft/engine noise,” Boeing said. Indonesian officials were quoted by local newspaper Kompas as saying on Monday that the CVR of the Boeing 737 was found near the site of the crash at 9:10 a.m. local time, and the discovery will help investigators figure out how and why the Lion Air Flight 610 crashed only 13 minutes after it took off from Jakarta, the Indonesian capital. The CVR was one of the two black boxes installed on the Boeing 737 MAX 8 passenger jet, and the other device, a flight data recorder, had already been recovered a few days after the air crash. Boeing promised to take every measure to fully support Indonesia’s investigation. “As the investigation continues, Boeing is working closely with the US National Transportation Safety Board as a technical advisor to support Indonesia’s National Transportation Safety Committee,” it added. Lion Air Flight 610 was flying from Soekarno-Hatta International airport in Jakarta en route to the city of Pangkal Pinang, the largest city on the country’s Bangka Belitung Islands, when it crashed into the sea near the town of Karawang, about 51 km east of Jakarta, on Oct. 29, 2018. Currently, more than 200 Boeing 737 Max airplanes are in service around the world.